The countdown to the New York Film Festival is underway. On Oct 1st we convert Lincoln Center Plaza into a massive connected crime scene. Festival going audiences will step into an immersive experience that mixes storytelling, play and technology. We made wonderful progress at the last meetup on August 20th. Thanks to everyone who came out. 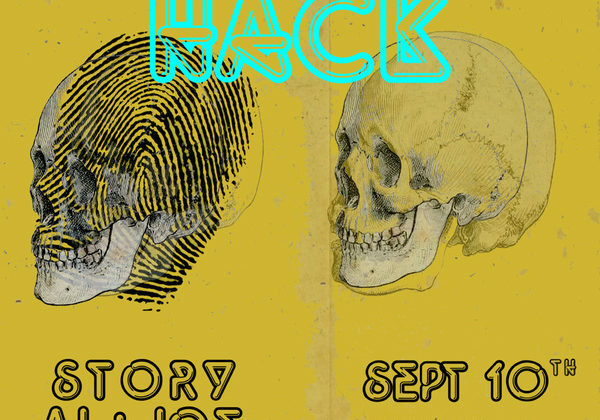 On September 10th, we return to the Made in NY Media Center by IFP for another day long hack. This time we’ll be joined by members of the IBM Bluemix and Watson teams. We’ll be experimenting with various Watson APIs as we get a number of enchanted objects that mix IoT and AI up and running. Here’s an example of one of the enchanted objects. 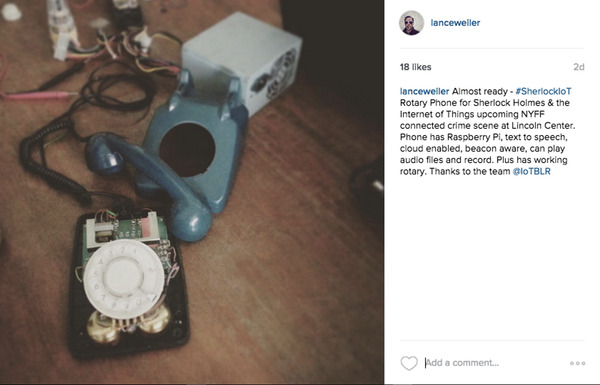 A rotary phone with a Raspberry PI, text to speech, speech to text, cloud enabled, beacon aware can play audio and record. Plus it has a working rotary. WANTED Hacker, Makers, Storytellers, Game Designers and lovers of all things Sherlock Holmes. Come with laptops, hardware, components and anything you think you’ll need to role up your sleeves and hack. This is a unique opportunity to be part of a global storytelling experiment with collaborators around the world. Sherlock Holmes & the Internet of Things is a prototype of the Columbia University School of the Arts’ Digital Storytelling Lab. It’s a copyleft project released under an international 4.0 sharealike + commercial license. The project is experimenting with shifts in the authorship and ownership of stories while exploring the ethical and political issues of emergent technology like the IoT & AI. For more info checkout the quickstart guide to the project here. We’re looking for a few volunteers to help with the logistics of the hack. If you’re interested please message us. Thanks! Special thanks to our partners the Film Society of Lincoln Center, IBM and the Made in NYC Media Center.